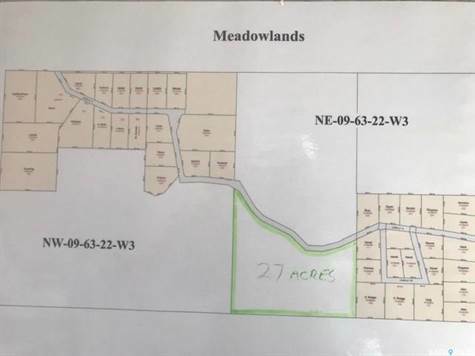 Lot Size: 27acres n/a "Irregular"
This 27 acre parcel is in the center of the Meadowlands Subdivision, just east of the Laumans Landing Subdivision. 27 acres at the price of the average lake lot on Lac des Isles. If you are looking for privacy and space at the lake then check out this property.